You’ve drawn the chef of your family in Secret Santa; gift buying should be a snap, right? Not so fast, my friend. As we’ve written and preached to our customers over the years, finding the right kitchen tool for the right job can require sifting through a mountain of options. That holds double for gift giving. You can’t buy barbeque tongs for a baker — it’s not one-size-mandolin-fits-all! Here’s a quick list of fun kitchen gifts for the home cook that we think runs the gamut. We have high praise for anything manufactured by Lodge, a trusted name in cast iron cookware since 1896. 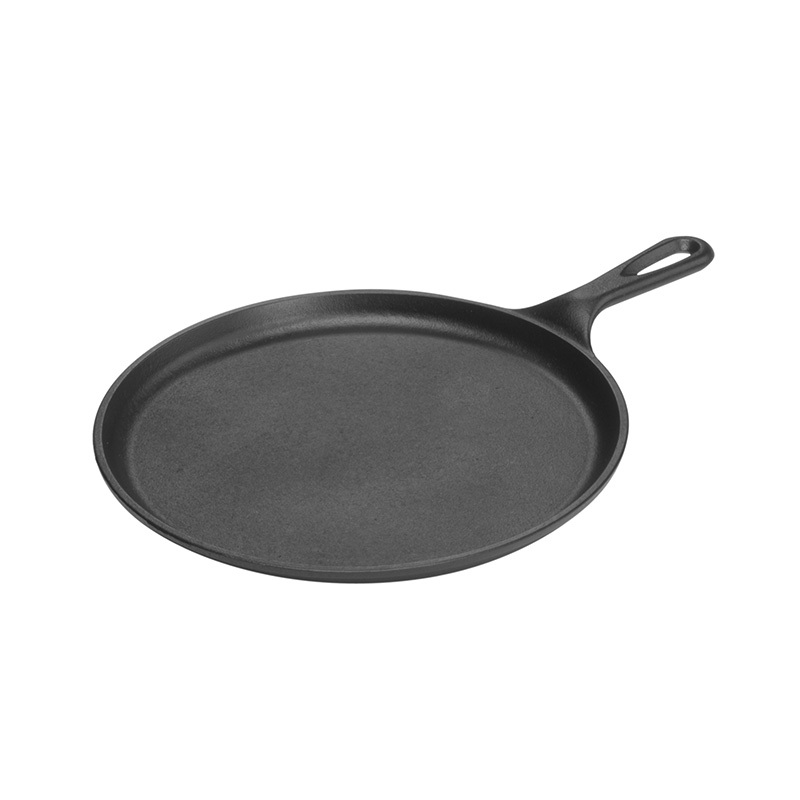 Based in South Pittsburg, TN, Lodge offers a staggering array of pre-seasoned cast iron cookware. The pizza griddle is a neat departure from the norm. Many pizza stones are made with specially-fired clay, able to withstand very high temperatures, since the idea behind pizza is a charred crust and a chewy interior dough. The cast iron griddle can produce pizza with a bit of a different make-up. Known to some as “Old Forge Style“, this crust is almost fried, thanks to a generous helping of oil on the griddle. While traditional Old Forge pizzas are made in large, square cast-iron pans, the round Lodge pan offers a shallower, but still fulfilling, pie. It won’t win any awards for titular brevity, but this innovative appliance is a significant upgrade from many traditional blenders. The basic idea is so simple you’ll wonder why you didn’t think of it first. 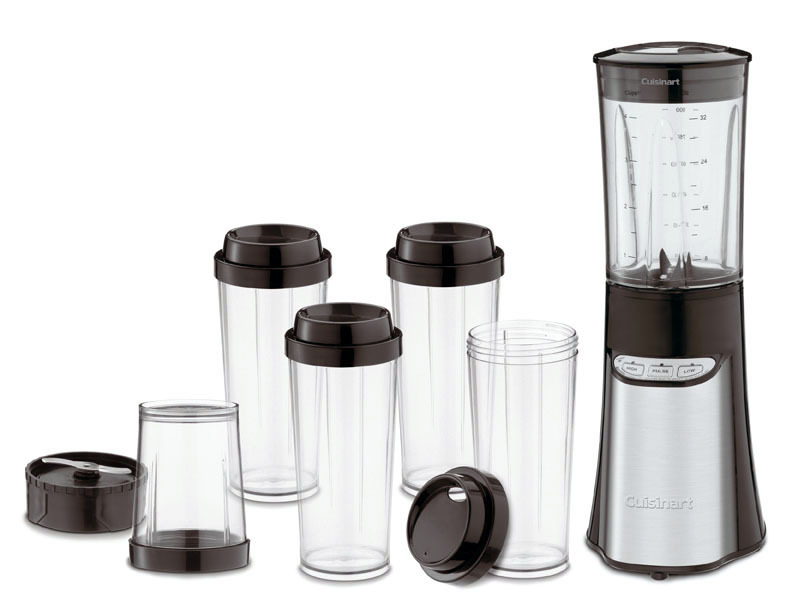 Essentially, the Cuisinart 15-Piece Compact Portable Blending & Chopping System (or C15PCPB&CS as we call it around here) (not really) is one blender base that comes with one big blending pitcher and four small blending cups. In other words, with the same base, you can make one big smoothie in the pitcher or four individual smoothies in the cups — no need to clean anything to make a whole new smoothie! The cups also come with lids that make them easily portable, so you blend up some fruits or veggies in the morning and have your drink on the go. It also comes with a chopper cup that fits the base, and it is powerful enough to crush ice. When we took the C15PCPB&CS for a test drive, it really impressed our staff! It’s true: some of us just don’t like the math part of cooking. Converting exact measures for recipes can be cumbersome, if not downright irritating. 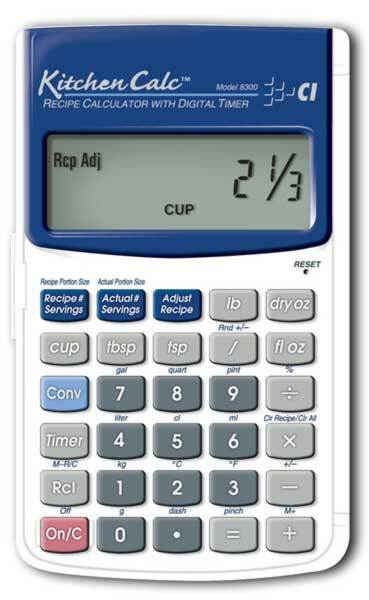 That’s one of the best parts of quick-glance kitchen converters, which have conversions listed, or the more technical Kitchen Calc ($24.99) . The latter also helps in planning portion sizes, for those inching toward that eventual (and perennially popular) New Years resolution to shed those holiday pounds. Cooking in an itty bitty urban apartment kitchen can be a massive challenge — that’s one of the reasons we like blogs like Smitten Kitchen, which teaches readers the joys of cooking with limited space. The key? Versatility. Which brings us to these baking mats. Take the 24 x 36″ and 24 x 24″ Silicone Work Mats for example: they can be used on the counter to roll out pasty dough, as well as in the oven as a liner or cookie sheet, since they’re heat-safe up to 450° F. Now, finding room in your tiny apartment fridge for all those baked treats is another problem… but I guess that just means you’ll have to eat them! 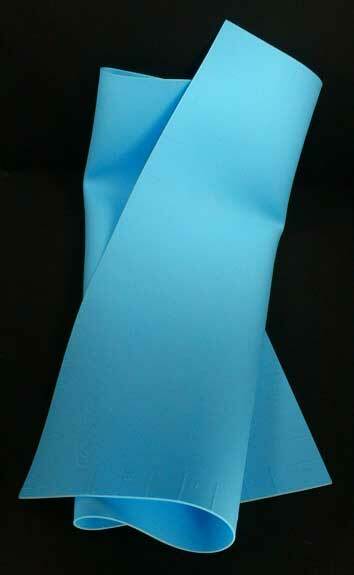 Look for more holiday advice and gift ideas in the next issue! Hello! I’ve been following your site for some time now and finally got the courage to go ahead and give you a shout out from Kingwood Tx! Just wanted to say keep up the excellent job!